Recently, I called the anti-vaccine mob a religion, because it shows many signs of being a religion from faith-based beliefs to a “clergy” that proselytizes about the evils of vaccines. And we can observe the same level of hatred pushed by some extremist religions in the irrational anti-vaccine anger, racism, and physical threats. It can be scary. Many of us have observed this hatred in person, on social media, and in threatening emails. Dorit Rubinstein Reiss, Professor of Law at the University of California Hastings College of the Law (San Francisco, CA), who writes frequently on this website about issues regarding vaccine public policy and laws, is a frequent target of vile personal attacks. Many of those attacks are overtly sexist, racist, and anti-Semitic. It is a disgusting display of anti-vaccine anger and hate speech. The anti-vaccine religion should be ashamed, but as far as I can tell, they have no shame. If you paid any attention whatsoever to the efforts to pass California’s SB277 in 2015, which requires parents to vaccinate children before they can enroll in public or private schools (except for valid medical exemptions), you would know that the law was led by California State Senator, Dr. Richard Pan. During the process, and long after the bill was passed and signed into law, Senator Pan has been subject to physical threats and withering personal attacks, which included reprehensible and immoral racist-tinged attacks on his ethnic heritage. If anything shows off anti-vaccine anger and racism, this does. 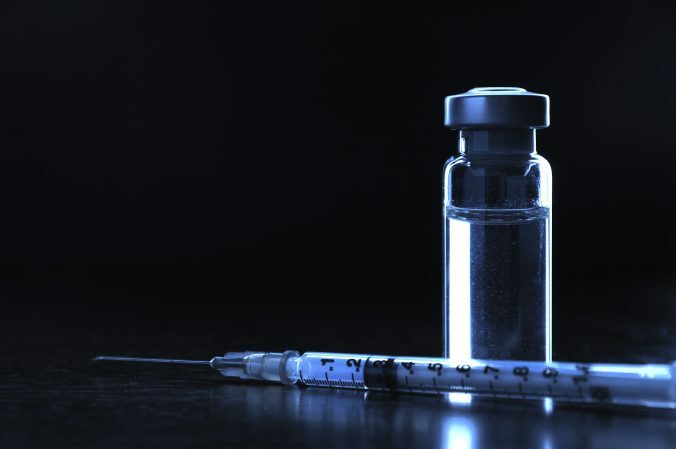 The New Jersey legislature is considering Assembly bill A3818 which will tighten vaccine exemption requirements in the state. Recently, the state Assembly Health Committee voted 7-3 to advanced the bill to the full Assembly for consideration and voting. The bill will still require state Senate approval and the Governor’s signature before it becomes law. A notarized, signed and sworn written statement that includes an explanation of the nature of the person’s religious tenet or practice that is implicated by the vaccination. A statement acknowledging comprehension of the risks and benefits of vaccination to the student and the public health, and that the student may be excluded from attendance at his or her school if a communicable disease is found to have been contracted. This is not even close to vaccination rules in California, Mississippi, and West Virginia which do not accept any personal belief exemptions, including religious ones. As a result, vaccination rates in those states are either very high or climbing to very high. Even though this might seem to be just extra work to still get the religious exemption, some people forget or ignore vaccine requirements, and then claim an exemption out of laziness more than anything else. Making it more work to get the exemption itself may increase the vaccine uptake. But most importantly, not a single major religion is anti-vaccine – in fact, they’re mostly very pro-vaccine. In other words, religious exemptions are mostly bogus claims that are abused by parents who have some pseudoscientific beliefs about vaccine safety and effectiveness. During the Assembly Health committee meeting, over 100 were there to observe and give testimony. After the vote, the vitriolic anti-vaccine anger went on full display for all to see (warning, this is not safe for work, so turn down your sound). “You are going to hell.” And to show you the class and hate of these people, their child help up both middle fingers for all to see. Those were some of the less profane yelling from these hateful, angry anti-vaxxers. By the way, Democrats are trying to save American children by making sure they’re protected against deadly and dangerous vaccine-preventable diseases. Rational thinking is not high on the list of these people’s skill sets. Doesn’t it look like an evangelical Christian revival meeting, with people screaming and feigning all kinds of emotions? I told you that the anti-vaccine religion is really a religion. From every aspect, anti-vaccine anger is offensive to civilized people – it’s also generally racist and sexist. And is it irrational? Absolutely, since the scientific consensus, supported by a mountain of evidence, states that vaccines are very safe and very effective. The benefits of vaccination far outweigh the risks, even with vaccines that have lower effectiveness, like the current flu vaccine. Because they lack any evidence in support of their beliefs, the anti-vaccine anger turns against individuals like Professor Reiss and Senator Pan using racism and bigotry, along with that offensive and ridiculous Big Pharma shill gambit. The anti-vaccine religion has nothing, so they turn their hate on many of us who value vaccines as protecting our children, and many adults frankly, from terrible diseases. The behavior of the anti-vaccine mob in New Jersey shows their true colors for all to see – they use ridiculous anecdotes, unfounded claims, and pseudoscience to attempt to convince fairly smart legislators that vaccines are dangerous. And that they need a religious exemption, when most religions are strongly pro-vaccine because it protects children. And when they don’t get their way, they show their bitter hate and hostility toward these legislators. The tides are starting to move against the anti-vaccine religion – their hate speech is probably going to get worse.